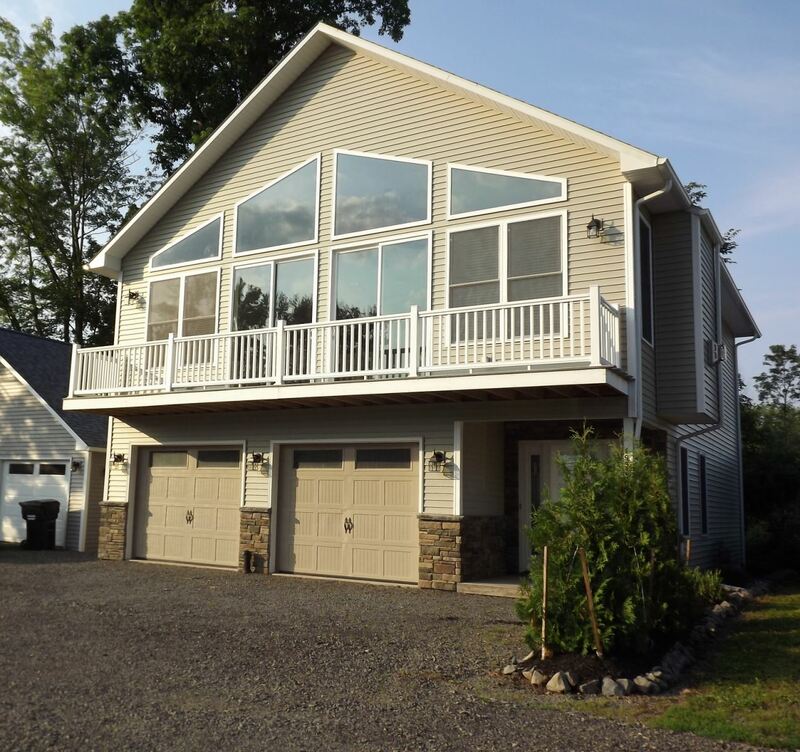 Contemporary Style | Waterfront Home | Chittenango NY - Contact Bob McTague – 1951 Davis at 315-882-6610 - 1951 Davis Street. Main Living Area Features - The home was designed for entertaining and features an open floor plan with 9' ceilings on the main living area and a 16' vaulted ceiling in the great room. The gourmet kitchen offers granite, custom cabinetry, and stainless steel appliances. Hardwood floors fill the living space. The spacious great room comes complete with a gas fireplace, and the dining room can accommodate plenty of guests. There is also a master bedroom retreat positioned closely to the luxury master bath featuring tile floors, granite counters, tub, and shower. The other conveniences are the half bath and second floor laundry (the newer washer and dryer are included with this home). Main Entrance Features - The main entrance to this home has a tiled foyer, 2 good sized bedrooms, and another full bath.